No tricks here, just a preview of the Hendricks County Hoppy Halloween event that is sure to be a real treat - again this year in Plainfield, Indiana. I featured this event in a Weekend Primer last year and have written a couple of posts on the event&apos;s awesome host, Brew Link Brewing. Brew Link Brewery and Indiana On Tap will offer this Halloween-themed adult event on Saturday, Oct. 20 outside at Chateau Thomas Winery, 6291 Cambridge Way, Plainfield. While the impressive selection of 25 Indiana craft breweries, wineries and distilleries that are participating in the event are reason enough to grab a bundle of tickets, this festival is also teeming with food, fun and entertainment. You&apos;ll find the best food truck eats, games, raffles, a costume contest and live entertainment. Who says this holiday is just for kids? First, these treats are not for kids - only adults 21+ years, with valid identification will be permitted. 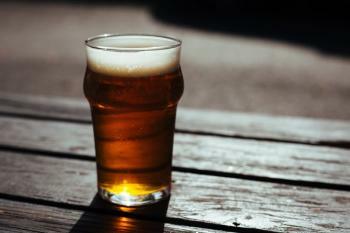 Admission will include unlimited samples of all the craft brews, wine and distillery treats. Tickets purchased before the 20th are $40 for VIP admission; $30 for general admission. Tickets purchased at the gate will be $50 for VIP and $40 for general. Admission time for VIP ticket holders will be 1 p.m.; general admission ticket holders can enter at 2 p.m.
Hoppy Halloween will run until 5 p.m., with an after party - including more live music - immediately following inside the Chateau Thomas Winery facility. If you are familiar with the unique brews the masterminds of Brew Link Brewery create, you know that each and every release is much anticipated. 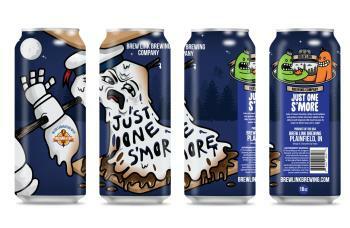 As if I haven&apos;t outlined enough reasons to attend this festive, tasty event, I should also mention that all attendees will have an opportunity to purchase their new Just One S&apos;More Imperial Milk Stout, which is described as a graham cracker, marshmallow and chocolate craft beer concoction. This new release will be limited to just one 4-pack per attendee. You can purchase advanced tickets, and save some cash for the food trucks and raffles, by clicking here. So, call your friends, dig out your best costume and prepare yourself for one of Hendricks County&apos;s most festive Halloween events. This one is for the adults. Join us!